Cayman Carnival Batabano, the Cayman Islands’ annual national carnival runs May 4-5, 2018, full of colour, festivities and music. The fun gets under way on Friday night, May 4, with a street fete on Harbour Drive in George Town, and then things get really lively with the street parade on Saturday, May 5, starting at Public Beach in West Bay. The carnival, which was launched in 1983 by the Rotary Club of Grand Cayman, also includes a junior carnival (April 28, 2018). Over the years, the carnival has become a highly anticipated Cayman tradition. Visitors from across the globe travel to the islands during the first week of May to enjoy the carnival’s festive spirit and atmosphere of inclusion. The distinctive name of the carnival comes from Cayman’s turtle heritage, as “batabano” refers to the tracks that sea turtles leave in the sand when they crawl on the beach to nest. Turtling is a historic part of Cayman’s heritage, though turtles are now on the endangered list. Nesting sea turtle tracks are an encouraging sign that the turtle population is increasing. Visiting Cayman during Cayman Carnival Batabano means pre-planning, from buying airline tickets to planning your itinerary and booking accommodations. Even during this busy time, luxurious Grand Cayman house rentals, many with a view of world-famous Seven Mile Beach, can be reserved for your carnival-week vacation. Perhaps you are considering a place to stay that’s a bit farther from the carnival festivities to relax away from the jubilant events. In that case, consider one of the many secluded Cayman Islands rental properties, or perhaps a quiet, cozy villa near Rum Point. These vacation rentals in Cayman offer tranquility and beautiful views near the Caribbean Sea. 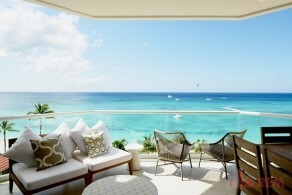 Another option is relaxing at one of the many Cayman apartments for rent. These affordable rentals might be just the right fit for your vacation plans. So, pack your sunglasses and sunscreen and don’t forget to bring your camera to capture the colour and excitement of this celebration in the Cayman Islands. The carnival is just around the corner, so make sure to reserve your Grand Cayman house rental or a vacation rental in the Cayman Islands soon to get the best accommodations!